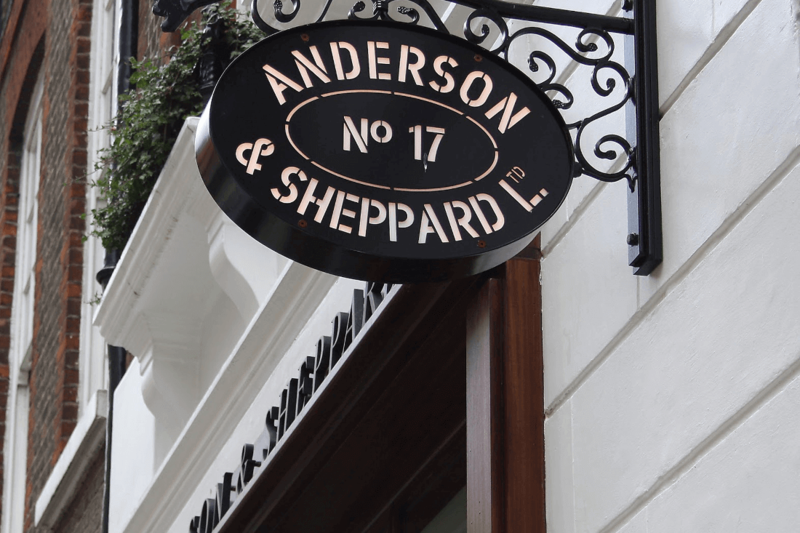 Since 1906, Anderson & Sheppard has built a reputation as one of the finest tailoring locations in the Savile Row area, with an impressive roll call of famous clients through the years including Carey Grant, Fred Astaire, and more recently, Mr. Bryan Ferry. 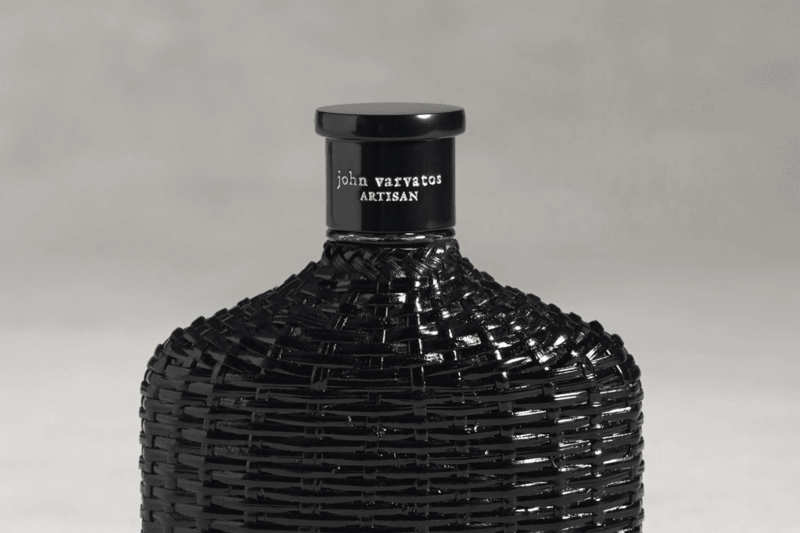 With their tailoring in high demand, the company added a further string to their bow last year by opening a second outlet just around the corner from their Old Burlington Street space, offering a selection of products in a more informal setting to that of their bespoke workrooms. This outlet, located on Clifford Street, offers clients the opportunity to explore a number of Anderson & Sheppard offerings in an informal apartment-like setting. 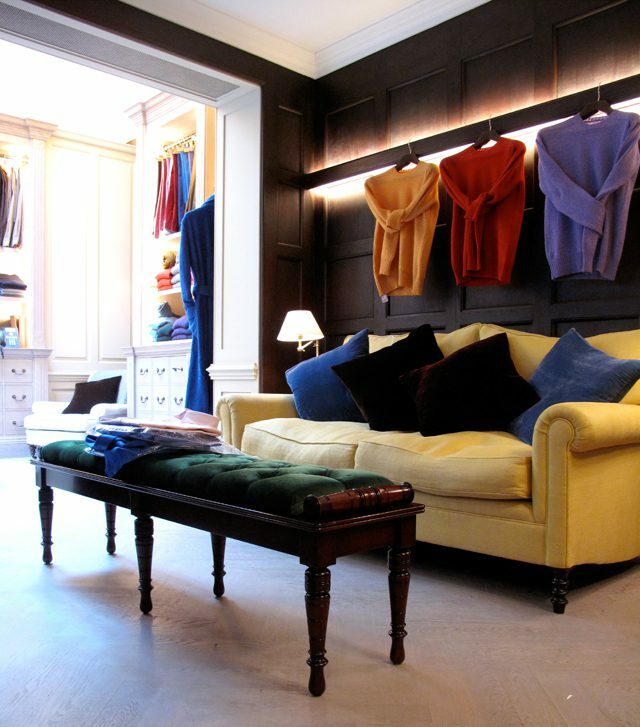 Named the Haberdashery, the stores original goal was to provide casual trouser options to their clients, but this has since expanded to include a range of quality accessories and knitwear also. 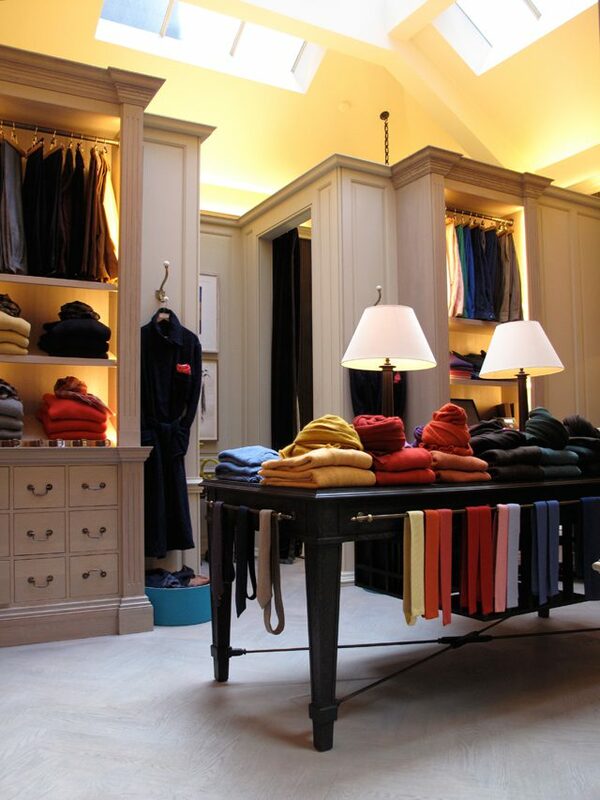 Light and spacious, the store is well laid out, with alcoves leading off the main hallway for underwear, shirting, and sleepwear. 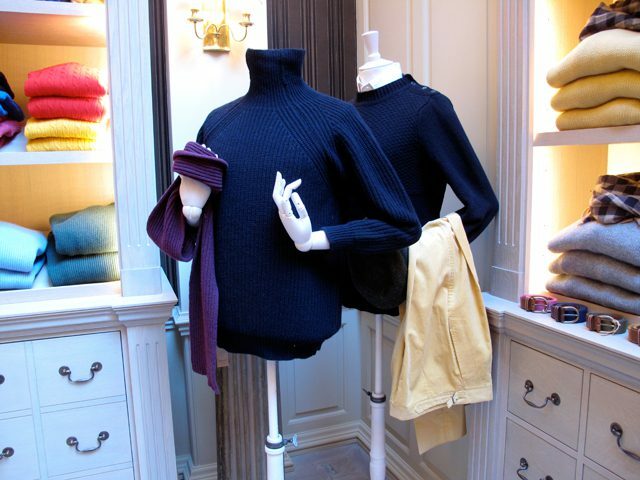 Further in, a large back room features walls and furniture adorned with ties, trousers, knitwear, and several spacious fitting rooms to try garments on. 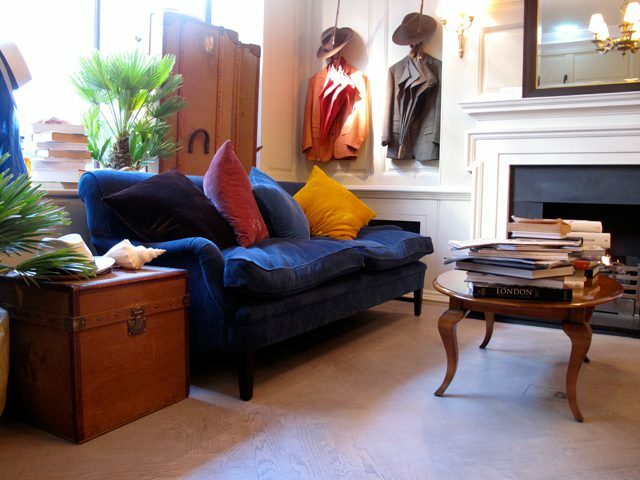 With comfortable areas for clients to relax, take in a book, or absorb the news, the haberdashery is not only a notable destination for desirable wardrobe additions, but also the perfect haven to catch a moment away from the bustling city outside it’s doors. 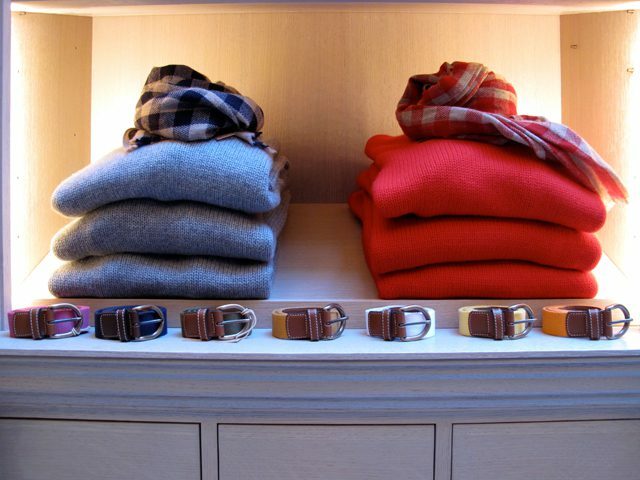 The Haberdashery is located at 19 Clifford Street.